Discover Norris Mini Courses at Northwestern University! Northwestern offers lots of interesting classes for its students, but if your class schedule is full and you’re still itching to learn, look no further than Mini Courses at Norris University Center. Open to all undergraduate and graduate students, faculty, and community members, Mini Courses give participants the chance to learn new skills in just a few short weeks. Courses cover a wide variety of topics, from cooking to dancing to drinking, so no matter what your interests are, you’ll be able to find a Mini Course that suits your needs. Or, you’ll get the chance to discover a new passion. Some of the most popular courses include Ceramics, Cherokee, Latin Ballroom Dance, and Wine Appreciation (for those over 21). The Spring 2017 program will offer these choices as well as many others, including Baking, Belly Dancing, Public Speaking, and Mixology. 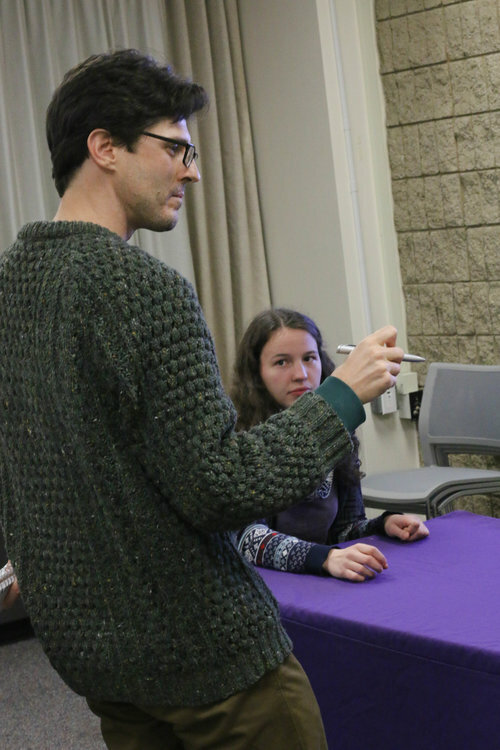 Film director-producer Steven Fischer works with actors at Northwestern University. According to Fischer, all of the Mini Courses participants are “the best of the best … They are all ready to work; they are ready to share and give of themselves; they are open. They’re just terrific people.” Don’t you want to be one of them? Sign up today!